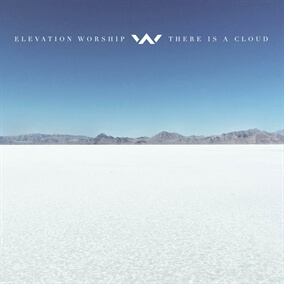 Today marks the worldwide release of Elevation Worship's There Is A Cloud, a new live worship album that echoes the team's passion to see a new season of spiritual awakening rise in our hearts, our churches and in our world. Songwriter and worship leader Chris Brown shares, "Our prayer is that the songs of this album will fuel your faith and renew your hope even if you are in the midst of a dry and barren season." There Is A Cloud drew its title from an encounter with the Prophet Elijah and one of his servants during a severe season of drought and famine and it asks the listener to rediscover what it means to worship not solely on the mountaintop, but also in the valley – finding faith, joy, and gratitude in the midst of trial and difficulty. We previously released the album's first two singles, "There Is A Cloud" and "Do It Again" and are now excited to bring you the MultiTracks for the rest of the album today. "Yours (Glory and Praise)" is one standout, reverently worshipping the Lamb of God and bringing Him passionate exaltation, "And the praise is Yours, and the praise is Yours. You're the One we bow before. Reigning over us as we lift You up. You will reign forevermore!" "Overcome" is another anthem that you'll find perfect for the Easter season as it recounts the moment Jesus overcame death and the grave, rejoicing in His resurrection and eternal reign. We truly believe these new songs will have a great impact on churches all over the world and encourage you to check out the entire album, which you can pick up today on iTunes.